Roses - will you be carrying them or wearing them for your big day? For my wedding, I carried mine. No flowers in my hair - I wanted to keep it fairly simple. Beautiful picture. I am suddenly reminded of Seal and his song...Kiss from a Rose :) Hope you're having a fabulous Thursday so far! 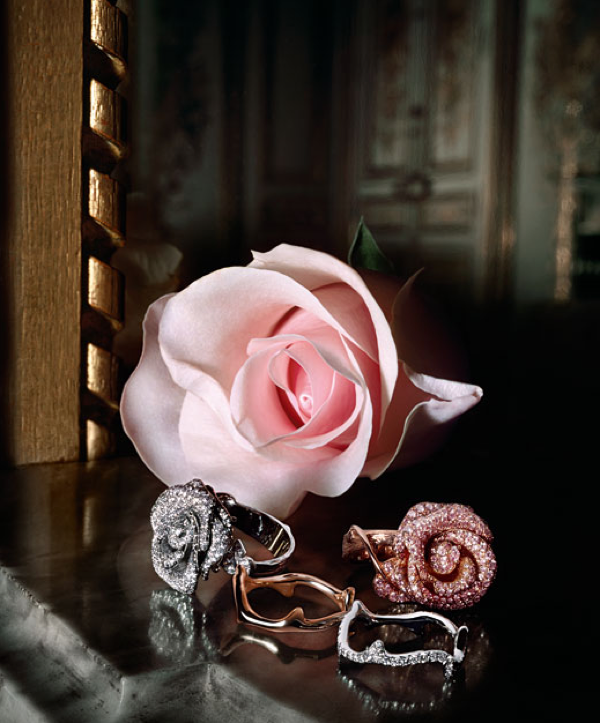 What a gorgeous pic of a beautiful pink rose along with matching jewels. The rings are beautiful! Where are the jewlery from?